After a large number of shows in Poland and in Germany (Berlin), we are pleased to announce the upcoming exhibition of works by Bogdan Dziworki in Los Angeles at the Duncan Miller Gallery. The first exhibition of Bogdan Dziworski’s photographs in the USA will start on January, 19th. “F / 5.6″ exhibition will be on display until March, 3rd. 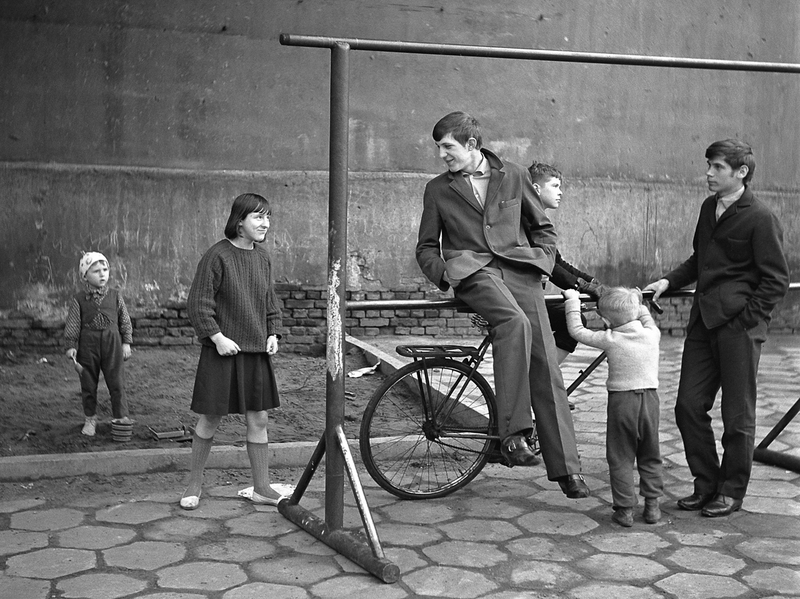 Bogdan Dziworski’s images belong in the canon of Polish postwar photography. The black and white shots embody the classic approach to analogue shooting and tell diverse stories. Images present daily life of ordinary people: sometimes while working and other times while enjoying their leisure activities. Dziworski’s photographs also have a strong historical and cognitive potential. 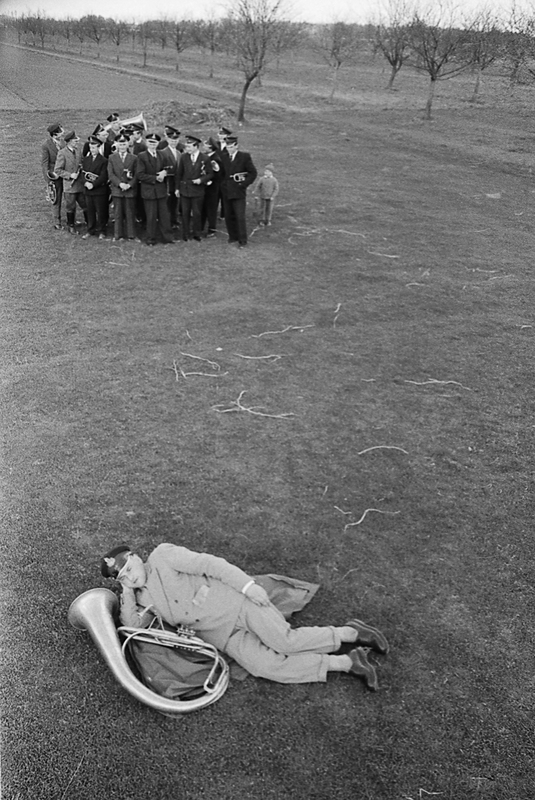 Nevertheless, the work of Bogdan Dziworski is not only street photography and a portrait of Polish society in the 60s, 70s and 80s. It is a consistently continued project with a huge emotional charge that the artist follows for decades. Being a cinematographer and filmmaker, Bogdan Dziworski often misguides a viewer, leading him to impression that his shots are in fact movie frames that bring us back to the aesthetics and point of view of Polish Film School including works of Andrzej Wajda, Wojciech Jerzy Has or Janusz Morgenstern that represented modern tendencies in Polish cinema of a second half of the 20th century. Habits and a point of view taken from his profession make Dziworski a perfect observer of life and a sensitive reader of diverse human behaviours. He captures reality with photography with ease and effortlessness. His images grasp Walter Benjamin’s phenomenon of the aura presented in the philosopher’s publication “A Short History of Photography”. As a result, each picture tells a miniature story – an anecdote that’s either poetic or amusing. Therefore we are proud to present Bogdan Dziworski’s artwork in Duncan Miller Gallery and hoping to give the insight into the extensiveness and richness of his creation. The “F / 5.6″ exhibition in Duncan Miller Gallery will be an extensive retrospective presenting the whole of Bogdan Dziworski’s work. The premiere of the project took place at Leica 6×7 Gallery Warsaw in the autumn of 2016. The exposition is accompanied by the second edition of the album. (printed in December 2018). The photobook entitled “F / 5.6″″ enriches Bogdan Dziworski retrospective. The publication includes black and white photographs, film portraits and essays as well as reprints of letters written to Dziworski by a famous Polish director Andrzej Wajda. 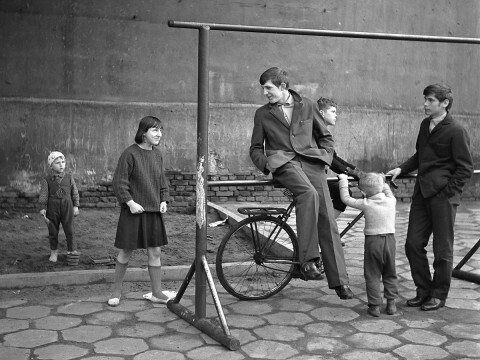 Bogdan Dziworski (Born in Łódź in 1941) – the outstanding photographer, operator, director and screenwriter, professor Bogdan Dziworski graduated from Direction of Photography and TV Production Department at the Lodz Film School in1965. In 1994 he awarded a PhD and received professor degree in 2002. In 2014, he was decorated with the Gold Medal of Merit of Culture – Gloria Artis. Dziworski cooperated with the Polish Film Chronicle – a 10-minute-long newsreel shown in Polish cinemas prior to the main film, Lodz Film School and the Polish Film Company „Zespoły Filmowe”. Being a member of Polish Filmmaker Association as well as ZAIKS and an honorary member of The Association of Polish Art Photographers Dziworski is the author of over 40 short and documentary films.